While plenty of people have heard about essential oils at some point in their life, most do not know exactly what they are. A majority of people understand that they have some sort of benefit to them, or that they simply have a pleasant scent, yet they do not understand the true basis for their use. Where do they originate from? How exactly are they used? How can they be of benefit? All of these questions have answers that are easily explained. Essential oils are the result of a distillation and evaporation process where compounds are extracted from a plant. The resulting concentrated hydrophobic liquid is the essence of the plant with its own personal and highly concentrated aroma characteristics. Some essential oils are beneficial when taking internally, some are excellent for massage, while others are only suitable for aromatherapy purposes and should not be internalized. It is important to understand the differences between each oil and its use. The term essential oils originally stemmed from the Aristotelian idea that matter is made up of fire, air, earth, and water elements. While the fifth element was thought to be the life force. Hence where the term ‘spirits’ comes from while distilling alcohol. There are many varieties of essential oils that have aiding properties for just about anything. There is lavender oil which provides a calming and relaxing mood. Citrus oils can encourage a feeling of energy and a positive well-being. Plants have been utilized by ancient people as far back as any recorded history. They have provided early civilizations with an abundance of spiritual, medicinal, and beauty enhancing qualities through essential oils as far back as 3000 to 2500 B.C. in areas of Egypt, China, and India. The Egyptians are one of the most commonly thought of as being the first to use essential oils. Various oils were used in their cosmetics, for aromatics, in religion, and even in their embalming process. The use of essential oils became such a revered and important aspect of the Egyptians that during the height of power only the priests were allowed to perform rituals with the oils. Ayur Veda is a 3,000-year-old traditional Indian Medicine which utilizes essential oils in their healing traditions. The practice was even used during the Bubonic Plague when antibiotics failed. Essential oils have played an important part of Ayurvedic medicine. China first recorded use of essential oils during the reign of the yellow emperor, Huang Ti. It was during this time between 2697 to 2597 B.B. that he wrote of the importance that essential oils played with internal medicine. His guidelines are still practiced by Eastern medicine to this day. Essential oils are readily available almost anywhere these days. Each oil also comes with a long list of uses and benefits that provide better health and well-being. They are the perfect holistic option for any household. Whether they be enjoyed as an aromatherapy, a relaxing massage, or for their internal benefits there are a plethora of choices available. One of the most common uses for essential oils today are the stress relieving and relaxing benefits they provide. These days people are filled with too much stress and too many deadlines. This leads to anxiety, insomnia, and even physical ailments such as headaches and body aches. The perfect remedy to aid in relieving stress and promoting relaxation are oils such as lavender, and chamomile. Another popular choice of oils that are handy to have around the house or office are those that promote energy. 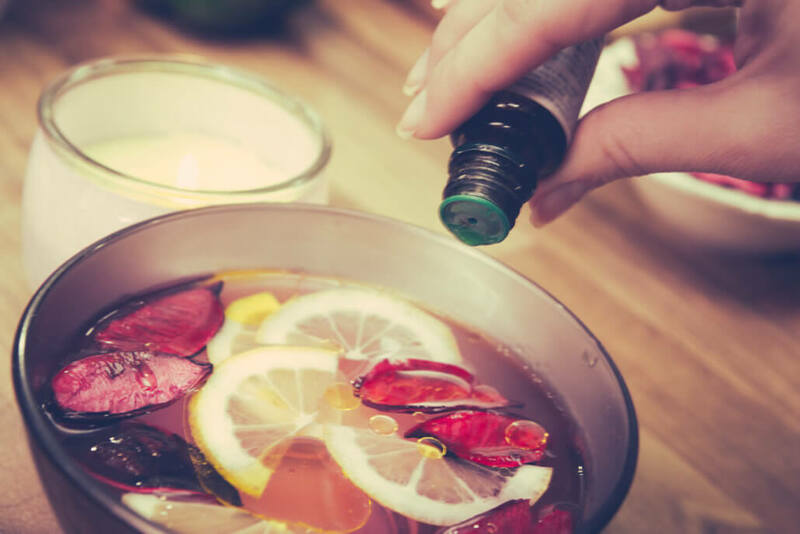 Citrus such as orange, grapefruit, or lime and mints such as peppermint, spearmint, and eucalyptus are perfect oils for getting an energy boost. Another reason to store certain essential oils around the house is for their anti-fungal, antiseptic, and anti-inflammatory benefits. Eucalyptus, lemon, lavender, and peppermint can also be used for these purposes. There are even a variety of oils that are great for use on insect bites. There is a very good reason essential oils have been around and widely used for thousands of years. Ancient civilizations discovered their healing properties and put them to use through all areas of their lives. The oils were used spiritually, medicinally, and cosmetically. Essential oils have stood the test of time and are still used to this day for a vast array of purposes. They are perfect to have on hand in any household, whether it be for their calming or energizing scent or their internal medicinal qualities.